One of the most pinned projects from this blog is the Dollar Store Chandelier I made a couple of years ago out of plastic travel bottles. 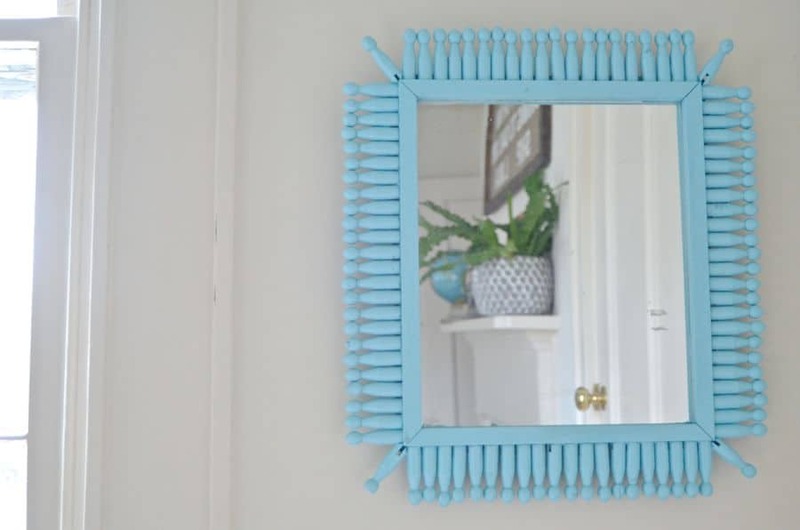 I will admit to being particularly MacGyver-ish with that project, but it wasn’t something I ultimately wanted hanging in our room forever… But the allure of a cool dollar store repurpose is hard to shake. So I had another go at it, and this time I LOVE the results. 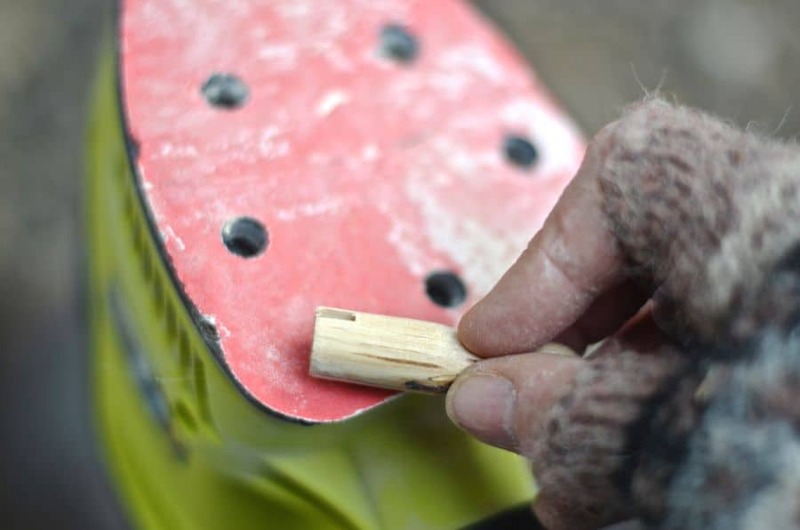 The first step is to measure how wide you want your frame as this will be how long to cut each clothespin. (I opted for 2 inches.) 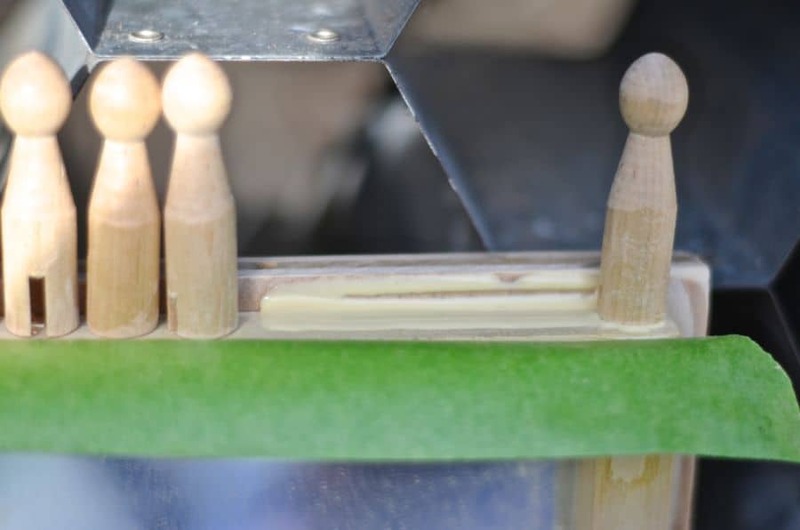 CAREFULLY cut each clothespin down to size. 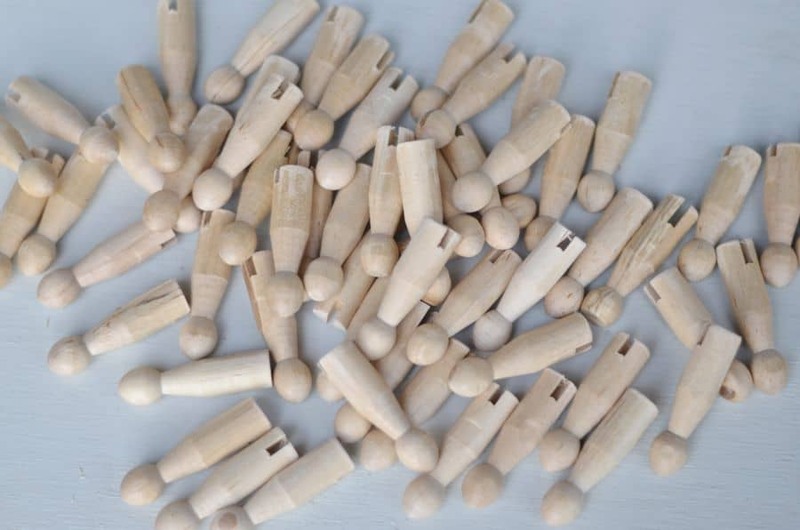 Wear safety goggles and watch your fingers… because these are little pieces of wood, they have a tendency to go flying. Sand the ends. 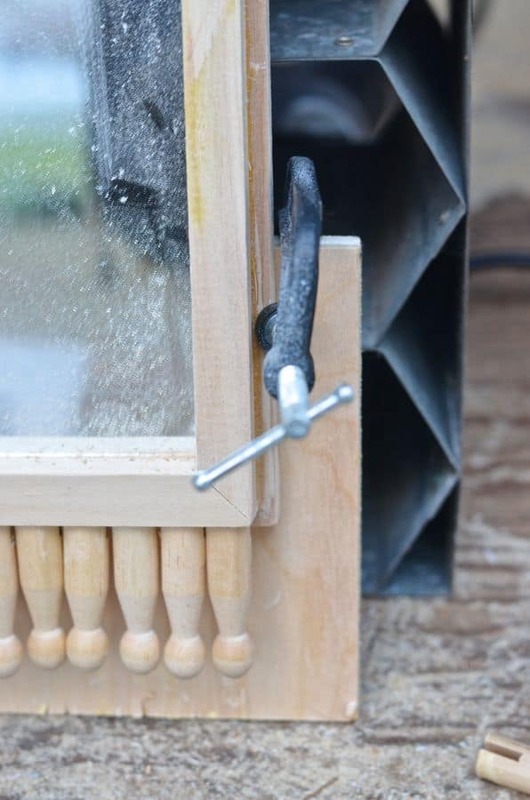 Grab your scrap wood and cut it about 1 1/2 inches wider than your mirror on all 4 sides. 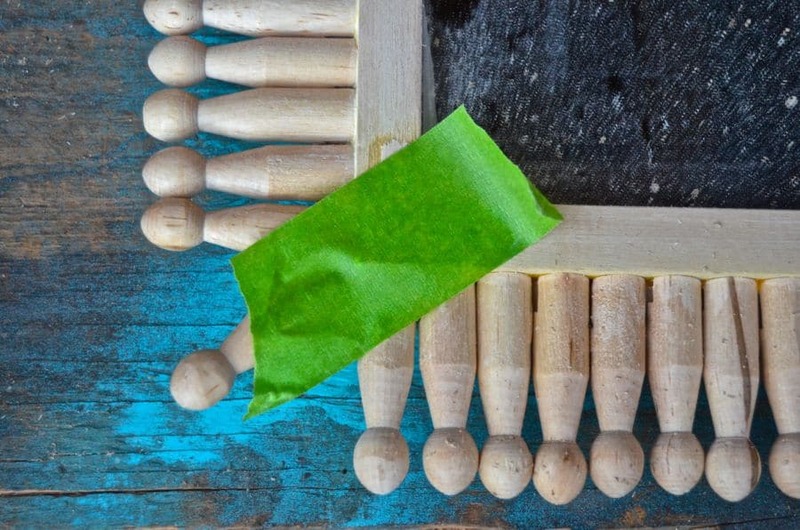 Remove the mirror from the frame and glue onto the center of you plywood. 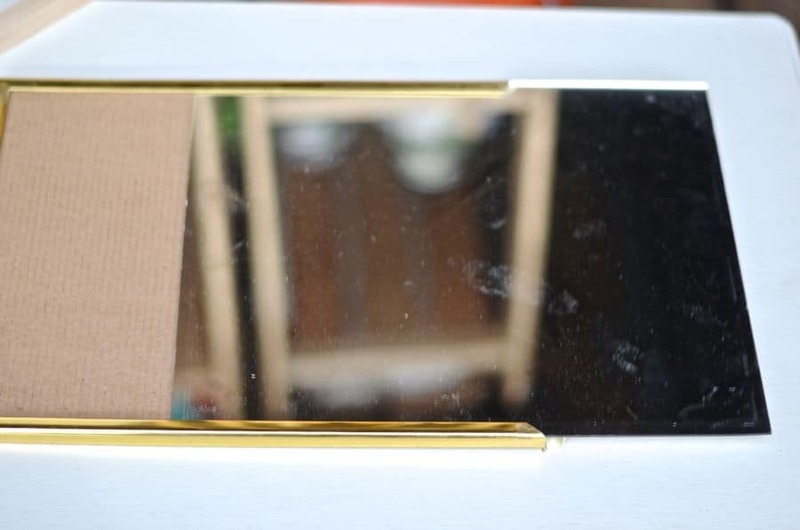 For this I used 3/4″ trim with mitered corners… I glued this in place around the mirror. 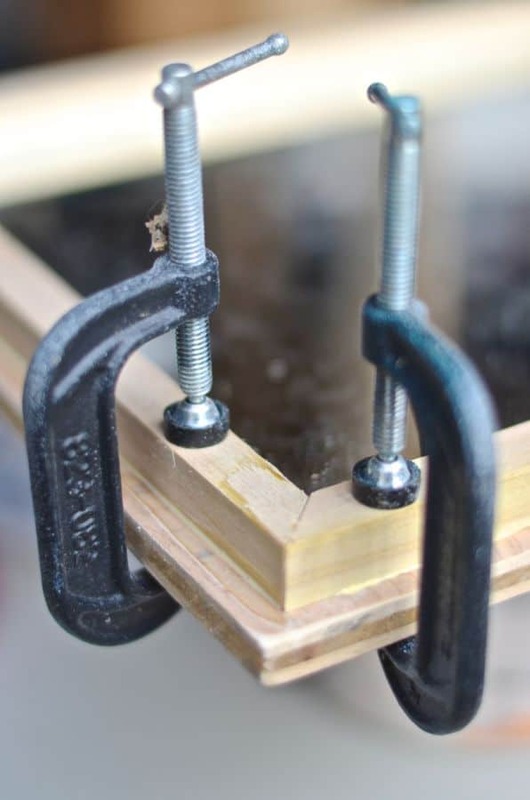 I glued one edge at at time with the mirror standing on end and the clothespins in the glue resting against the back piece of plywood. Repeat for each side. 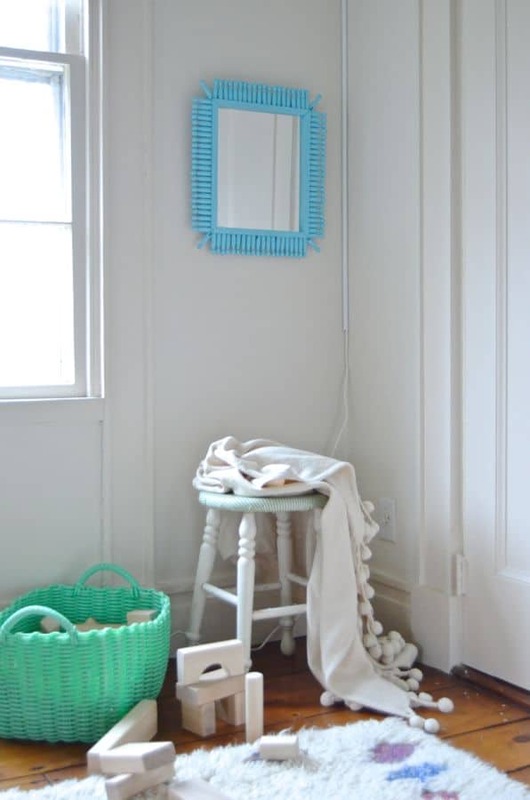 Optional: use clamps to hold your mirror up off the ground so that it’s not resting on the newly glued clothespins. 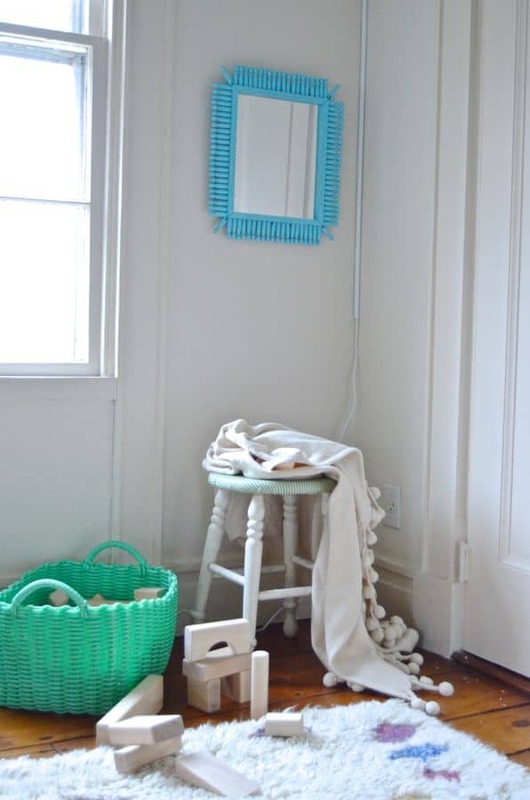 For the corners, I took 4 clothes pins and cut each one with a “<” at the end so it would fit around the corner. 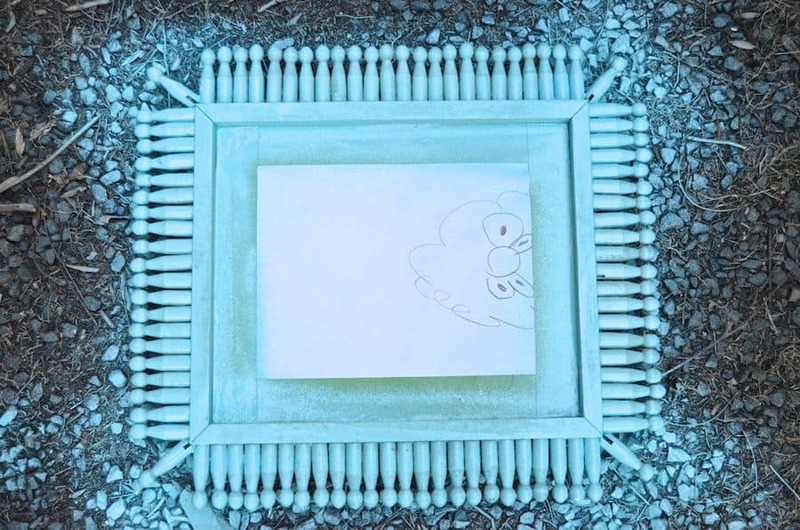 I glued and held in place with painters tape. 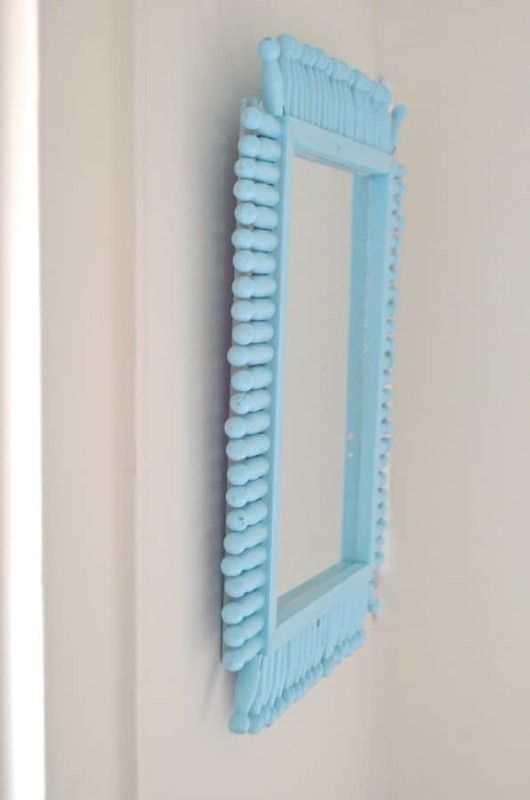 Cover the mirror with paper and painters tape and give it a few light coats of spray paint. Attach hanging hardware and… that’s it. 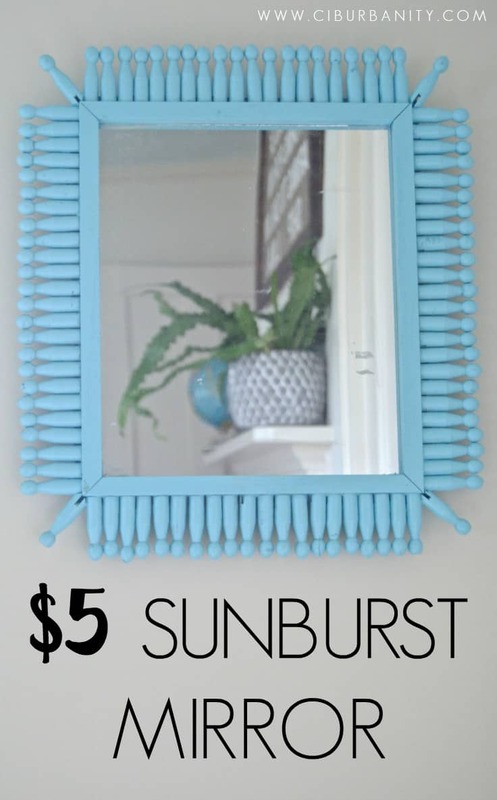 You just made an amazing $5 sunburst mirror! I put this in a corner of Martha’s room where she can check herself out and make funny faces. 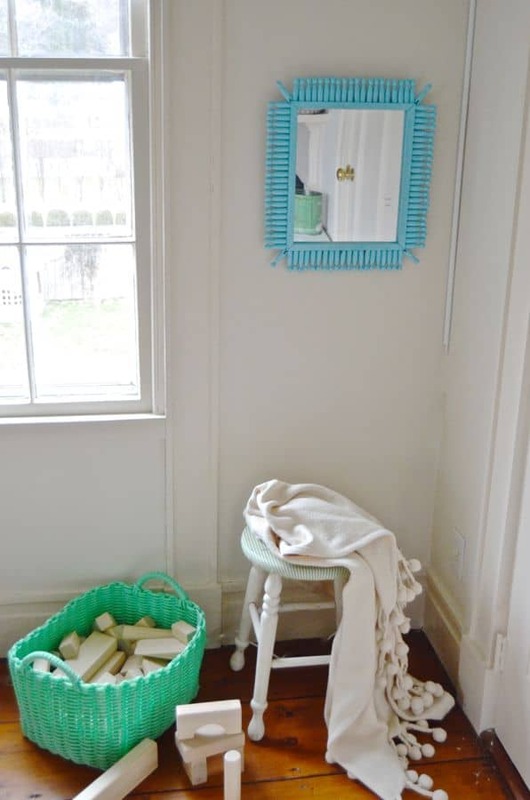 It’s right across from their dress-up dresser, so I’m hoping it might actually be used for a giggle when the kids can see how they look in their favorite costumes! What do you think? 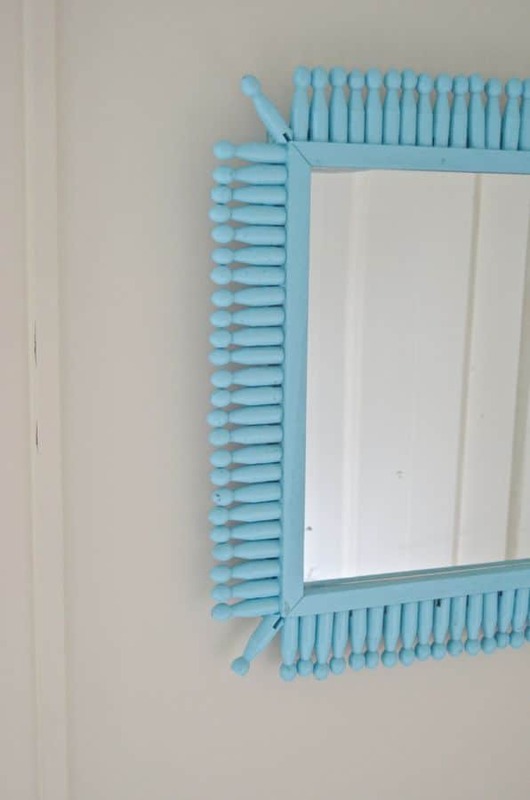 Can you tell it’s made out of dollar store clothespins? Wait… don’t answer that! Wonderful! Just grab your scrap wood, eh? 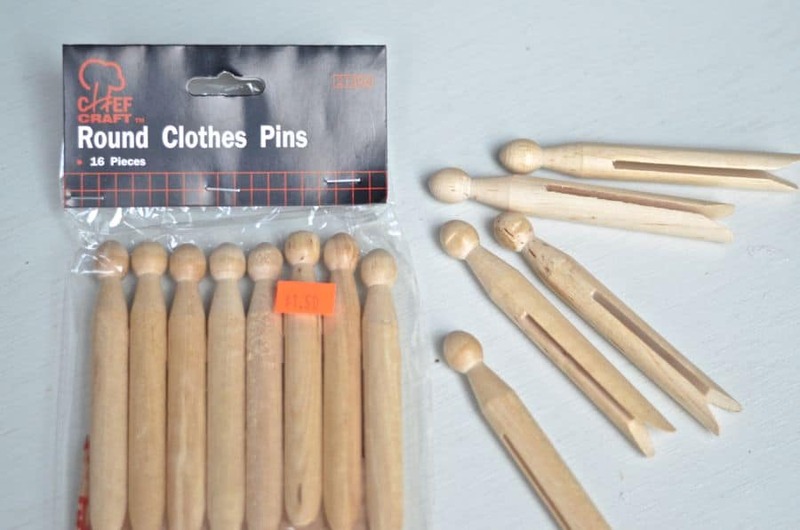 and find those round tip clothes pins?